Seeing the "Method to the Madness"
When I first began my three decades plus as a treasure hunter and small-scale gol﻿d miner , I never gave bridges a great deal of thought as potential locales for recovering "goodies" of one sort or another. But two events changed my mind on that subject. The first began in the late 1970s although it wasn't widespread knowledge until it was publicized in newspapers, treasure magazines, and yes, even on the TV news. By the time this particular treasure tale reached my ears I had been spending my winters swinging a metal detector on SoCal beaches (as well as other locations of "interest") and mining placer gold part of my summers up along the North Yuba River not far from the old Motherlode town of Downieville. In other words, I was "primed" as both treasure hunter and gold miner and quickly able to see the "method to the madness" of three placer mining "pards" who hatched a plan to recover gold, silver, and coins from a most unlikely location. 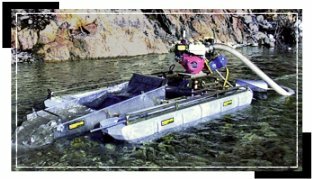 Jerry Felesina, Walt Dulaney, and Darrell Garman were three small-scale placer mining buddies who were experienced running a suction dredge for gold in California's northern Motherlode's streams. They got their share of the gold, but they definitely weren't getting rich at mining. 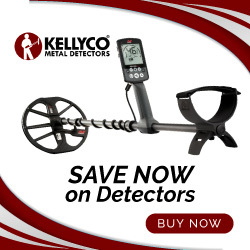 Like most of us who have gotten off our rear ends and actually mined for extended periods over time, Jerry, Walt, and Darrell knew what hard labor placer mining is for often very small returns. The boys were quite familiar with the gambling mecca of Reno, Nevada which is not all that far from the "mines" of the northern Motherlode. 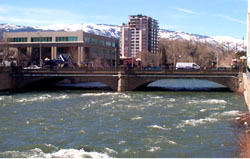 They also knew that the Virginia Street Bridge near downtown Reno was a popular spot for tourists, who liked to toss coins into the cold waters of the Truckee River below while making wishes for good luck, both at the tables and the slots (and elsewhere too, I imagine). What Jerry, Walt, and Darrell were after were all those coins being tossed off the Virginia Street Bridge for decades. At the time they filed for a dredging permit with the Nevada Fish and Game Department what the boys had failed to factor into the equation is that Reno had long been famous for allowing not-so-happily-married couples to file for "quickie" divorces. Just like the tourists tossing coins off the bridge into the Truckee, many of these newly freed folks were more than happy to toss their old wedding and engagement rings off the Virginia Street Bridge as well. For our three erstwhile gold dredgers, this oversight on their part would pay unexpected and substantial dividends. There's more to Jerry, Walt, and Darrell's story coming soon, so stay tuned. In the meanwhile, good hunting to one and all. If you liked this post, you may want to read: "Gold, Platinum, and Diamonds: Whitecourt's 'Triple Treat'"